John Landis, a man who never met an interview he didn’t like, recently sat down for an interview with the New York Daily News about Michael Jackson’s Thriller, because it’ll be unavoidable soon enough. Landis, who directed the 13-minute music video beloved by everyone except Jehovah’s Witnesses, filed a lawsuit against Jackson for 50 percent of the profits from Thriller shortly before Jackson’s death in 2009. Now all that has been sorted out, leaving Landis free to play God with his creation. First among these ghastly experiments is a plan to re-release Thriller in 3-D on Blu-ray and in theaters, where audiences would presumably be treated to an extra 76 minutes of commercials to pad out the running time. 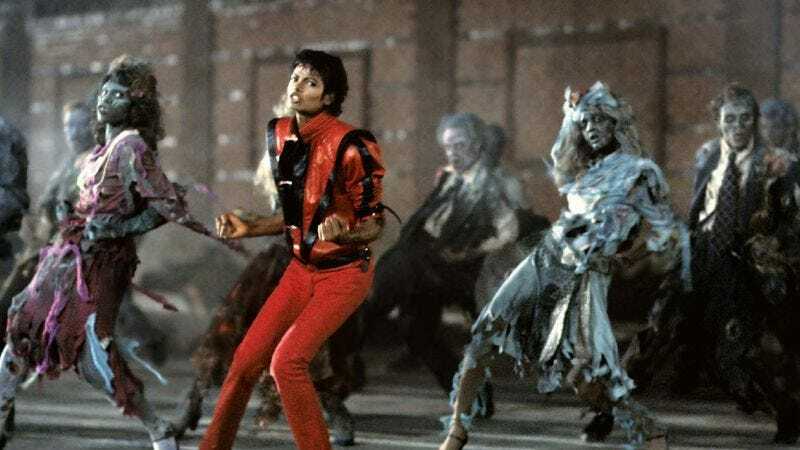 If that goes well, Landis says he and the Jackson estate want to develop Thriller into “a gaming experience” that would manifest as “a dance experience or a zombie-style, shoot-’ em-up-style movie.” The feature-length film once helmed by This Is It director Kenny Ortega, on the other hand, remains buried—at least until the full moon.